We propose a method for compiling a class of Σ-protocols (3-move public-coin protocols) into non-interactive zero-knowledge arguments. 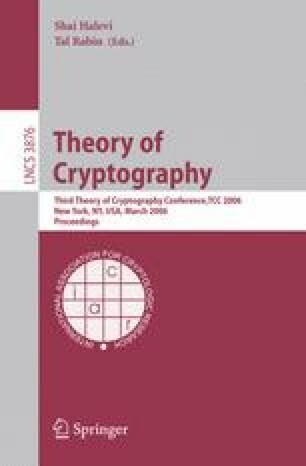 The method is based on homomorphic encryption and does not use random oracles. It only requires that a private/public key pair is set up for the verifier. The method applies to all known discrete-log based Σ-protocols. As applications, we obtain non-interactive threshold RSA without random oracles, and non-interactive zero-knowledge for NP more efficiently than by previous methods.